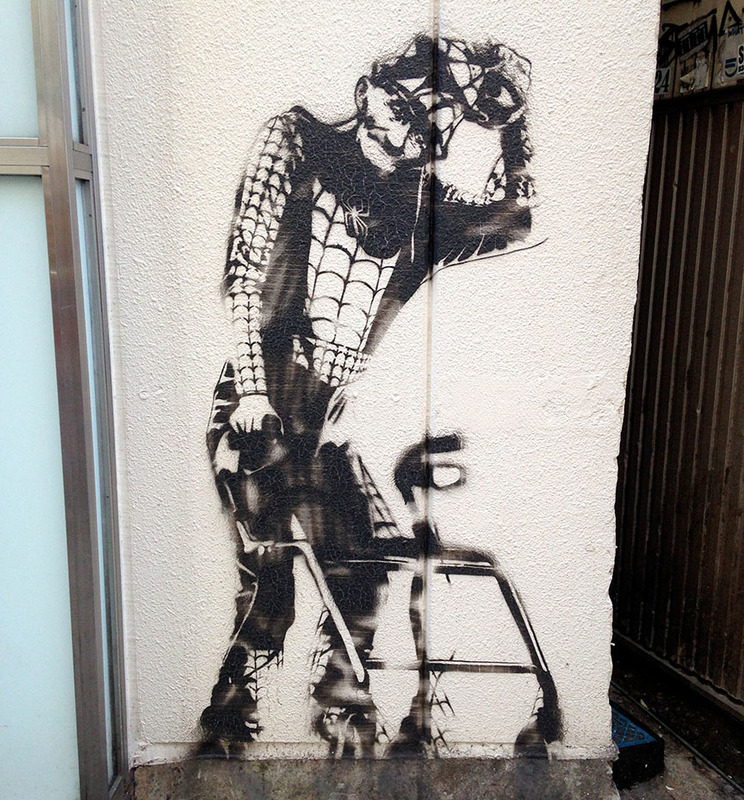 Sometimes Tokyo street art is so awesome, there’s nothing more to say. Ah, yes. Even super heroes get old.